Did this for a lil contest hut I thought it'd be fun. Put my own lil twist on it instead of a fully cup cartoon like its original. This is before the red ink as you'll see in my layer post. 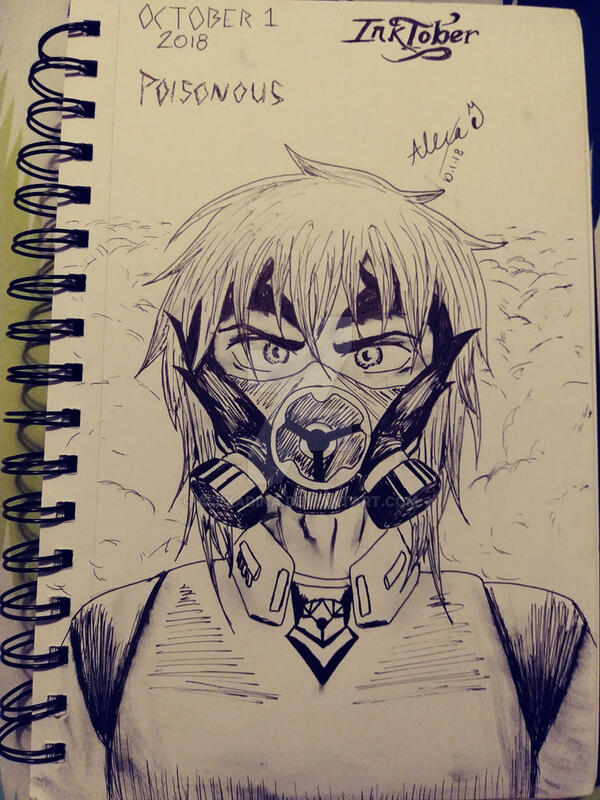 I love drawn gas masks. This one was definitely fun. Read bio about commission or check my status! All ink. Of course, its from Inktober! Had fun adding in a hint of red ballpoint pen. uwu hope you enjoy and more coming your way!! As soon as I can get a credit or debit card, I'm gonna try out Patreon I think and find a way I can make money out of my requests. Cuz I'm broke, and I have to purchase these materials myself, and its taken my time. Though I'm happy to do this, I'm frustrated my mom keeps telling me I should be working. Well getting a job is hard and I've applied to idk how many jobs already multible times. I'm in love with drawing, music, cats, and Moonlight. I'm someone that struggles to survive from my head, depression, and suicidal thoughts. I hallucinate and get constant nightmares but I use that as an inspiration for my books and art. I love to write and my Wattpad is Toxxic_Cate or Jeff_Bloody_Killer if your interested. My original Deviantart account is AtsukoYukino. I love fandoms and I'm only a true fangirl to my favorite author eternallaughter on Wattpad. if you haven't already, read her Killer Protector series. YOU. WILL. LOVE. IT. I HAVE PATREON! www.patreon.com/posts/22854837 *Commissions Open* DM me at @x.x_Alexa_x.x on Instagram for so mission or requests!